Mansfield, 75 vs. Cohasset, 52 – Final – Junior Matt Ehrlich connected on six three pointers en route to a career-high 30 points. The Hornets tied a program record with 15 three point field goals. Sophomore Tyler Boulter added 15 points and Max Boen had 11 points. Oliver Ames, 69 vs. Brockton, 42 – Final – Kaitlyn McCarthy led all scorers with 21 points and was named MVP of the Norwell Invitational tournament. Junior Niyera Mitchell had a double-double with 15 points and 10 rebounds and Francesca Calabraro scored 12 points and was named to the all-tournament team. Mansfield, 50 vs. Dartmouth, 32 – Final – Mansfield held a 20 point lead at halftime and cruised to win the Roundball Classic. Julianna Newell was named the tournament’s MVP while Caroline Maher – who broke the program record with her 134 career three pointers – was named a tournament all star. Milford, 52 @ Taconic, 33 – Final – Kate Irwin led the Scarlet Hawks with 13 points and Nicole Dahlgren added 12 points in the win. Taunton, 4 @ Attleboro, 6 – Final – Taunton scored three goals in the second period to take the lead in the game that was restarted with Attleboro ahead 2-1. The Bombardiers scored four times in the third to pull out the win. P.J. Elliott and Sam Larkin each scored two goals and had two assists for Attleboro, which also got goals from Jake Parker and Mitchell Caruso. Taunton goals were scored by Kyle Smith, Nick Terry, Tyler Pietrzyk, and Dylan Nichols. Canton, 2 vs. Medfield, 3 – Final (SO) – The game counts as a tie for MIAA purposes. Jim Jenkins opened the scoring in the first period and Jackson Maffeo made it 2-0 in the second, both assisted by Shaun Kirby. Medfield scored two goals in the second to tie it and the game stayed tied through the third period and two overtimes. The Warriors won 2-1 in the shootout to claim the Joe Quinn Tournament title. Justin Slocum made 30 saves in the loss. Franklin, 2 vs. Marshfield, 3 – Final (OT) – The game counts as a tie for MIAA purposes. 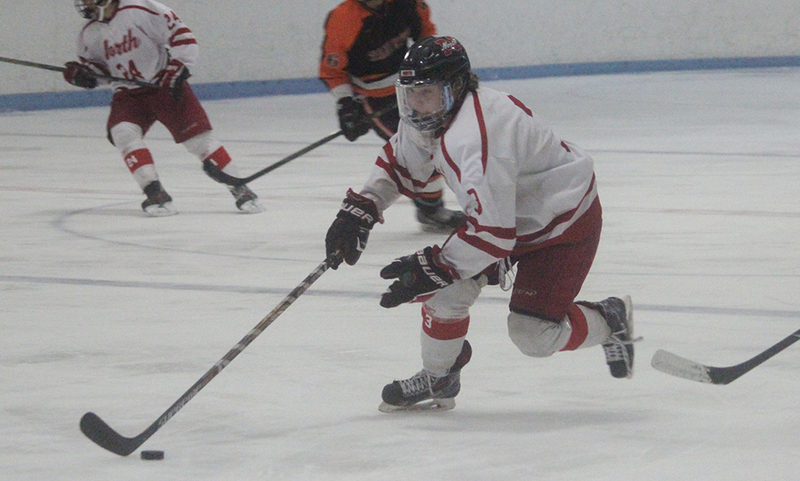 Franklin, 4 vs. Whitman-Hanson/Silver Lake, 2 – Final – Franklin scored four goals in the third period to rally for a win. Who is the midseason hockey Player of the Year? Josh Perry – Canton hasn’t gotten its offense to click into gear quite yet, but the Bulldogs have only allowed 13 goals in 13 games through Monday and one of the main reasons for that stinginess is the continued development of junior defenseman Jackson Maffeo. 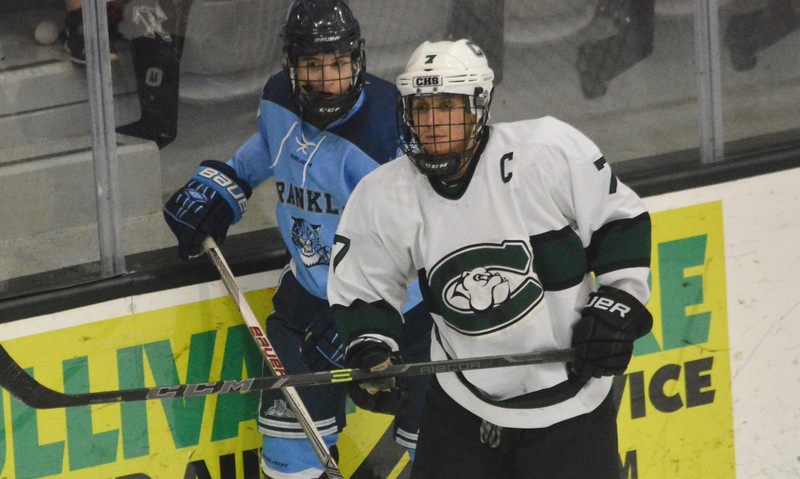 The three-year starter is a beast on the blue line for Canton and has become one of the team’s leaders on the ice. Maffeo reads plays well and has turned into a much more physical defender capable of battling in the boards when needed. He is quick and decisive and continues to add more offensive play to his game as well. With Maffeo, and transfer C.J. Martin, Canton has the defensive corps to compete with the top teams in the always competitive Div. 2 South bracket. Ryan Lanigan – At the midway point, this is certainly one of the most competitive races for the top player in the Hockomock. I think Canton goalie Justin Slocum has really put together a nice season so far but historically our Player of the Year has been a skater (not that that won’t change). Taunton’s Tyler Pietrzyk has also put together a strong season this year and anytime you have nearly 40 points at the midway mark, that’s impressive. But right now I’d say my pick is Canton senior forward Bobby Mullaney. He’s not an overly flashy player but he does a lot of things right and does them well. He’s emerged as a leader and a constant for Brian Shuman and Canton. He’s the Bulldogs’ leading scorer with 15 points (8G, 7A) and has helped Canton to a perfect league record so far. Who is the midseason hockey Underclassman of the Year? Perry – Once again there are a number of young players that are making instant contributions at the varsity level. Jeremy Miller and Kevin McKay have been solid for Franklin, Colin Cooke continues to emerge as a potential star at KP, and OA has several freshmen that are keeping the Tigers in the thick of the league title race, but right now my pick would be freshman goalie Ryan Warren of North Attleboro. Warren has stepped right in between the pipes and helped North stay within a point of first place in the division. North has only allowed 19 goals in its first nine games this season and Warren had a goals against average of 2.36. He has already made 189 saves and has a save percentage just a hair under 90 percent while recording two shutouts. Goalie is a tough position and Warren has stepped right in and been solid. Lanigan – Just like the Player of the Year race, there are a handful of real strong candidates for the top freshman or sophomore this season. Franklin’s Jeremy Miller, Stoughton’s Sean Doherty, KP’s Collin Cooke and Attleboro’s Jake Parker have all been impressive so far this year but my choice at the midway point is Oliver Ames’ Owen Gallagher. Gallagher, just a sophomore, has been one of the Tigers’ best players this season while playing on the top line and has six goals and 10 assists. He’s a very unselfish player that can create a lot of things for teammates, and when he wants, he can create opportunities for himself. He seems to be in the right place at all the right times too. He showed he has no problem setting teammates up with a three assist game against KP and then showed he can score too by potting a hat trick the very next game against Taunton. Perry – The biggest surprise is that when looking at the league standings last week Mansfield was on the bottom of the Kelley-Rex. The Hornets, who have jumped up to fourth in the division, have consistently been among the top two in the league for years and have played several strong games this season including a 3-1 loss to Canton and a 2-2 tie with North Attleboro, but there was also a narrow 2-1 win over a much-improved Stoughton team and a 2-2 tie with Attleboro that raised some eyebrows and highlighted the Hornets’ struggles to score goals. Mansfield needs to make a strong run in the final nine games of the season because second place in the league, which has been a way of getting into the playoffs in past seasons, is slipping away. Make no mistake, the Hornets have played a very difficult schedule that has included the likes of Franklin, Canton, Coyle, and Peabody and has not been blown out once, but it is still a shock to see Mansfield not among the Kelley-Rex leaders at this stage of the season. Lanigan – I’d say the biggest surprise so far has been Taunton. I think everyone expected the Tigers to continue to head in the right direction, but so far this season they have taken a giant step forward and are closing in on a playoff berth. After narrowly missing out on the state tournament last season, the Tigers have meant business from Day 1 of this season. Tyler Pietrzyk has been on a tear offensively and the whole team is averaging just a shade under five goals a game. 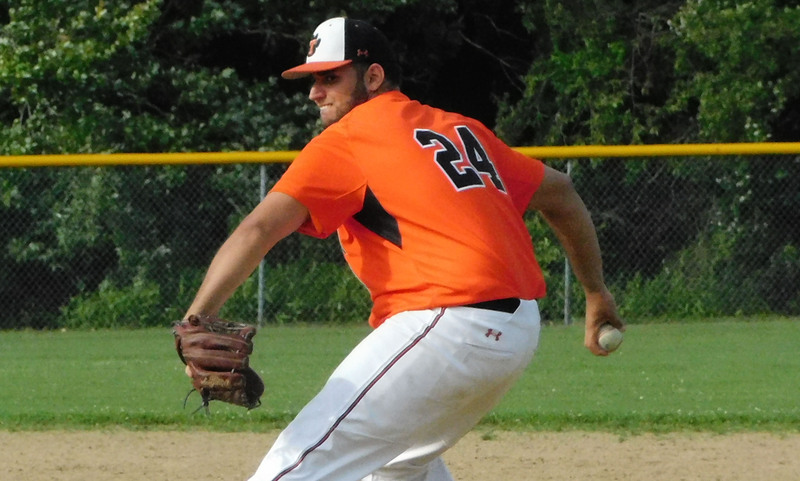 Although they haven’t been overly strong in Hockomock League play, the Tigers can still pick up some key league wins in a tight Kelley-Rex race. Perry – Right now, this sort of feels like a no brainer. Canton has the pedigree, having made it to the Div. 2 South final each of the last two years and at least the semifinal for the past three seasons, and also has the defensive strength to make a run and challenge the TVL trio of Westwood, Medfield, and Medway. The Bulldogs are among the favorites to win the South title and make a trip to the Garden and although playoff match-ups will determine a lot of who goes how far, the Bulldogs will be confident that they can compete with any of the teams that they may come up against. Lanigan – It’s really tough to pick against Canton, so I won’t. I know coach Brian Shuman wants to see a more consistent offense and the Bulldogs will need it if they want to challenge the TVL for D2 South supremacy. Oliver Ames is another team I could see hitting a hot streak and if Zach Walsh plays like he did against Canton in the postseason, we could see a strong run for the Tigers. Don’t count North Attleboro in D2 South as well and of course, if Franklin can develop a consistent scoring threat, they will be a tough out in D1 South. TAUNTON, Mass. – A late goal in the second period sparked King Philip to a huge third period, as the Warriors erased a four-goal deficit with six unanswered tallies to top Taunton, 6-4. Down 4-0 late in the second period, Matt Smith redirected a shot from Clay Geuss into the net to get King Philip on the board, a goal that gave the Warriors hope heading into the third. KP then exploded for three goals within the first four minutes of the third period to tie the game. Nick Connor carried the puck from the right corner to bottom of the circle, and a wrist shot snuck through to the goal line, where Collin Cooke finished it off. Just 38 seconds later, Richard Lucente netted a wrist shot from the high slot, and about a minute after that, with King Philip skating with a two man advantage, Geuss added one of his own to even the score. Cooke’s second goal of the game was the game winner, a rebound from a Jeremy Smith shot that gave KP its first lead of the night while the Warriors were on the power play. Jacob Kelly added some insurance for the Warriors with a drive from the left half wall that found the net. KP outshot Taunton 42-31 in the game but had a distinct 21-6 advantage in the third period alone. Zack Albert scored the first goal of the game for the Tigers, burying one on the doorstep after a Nick Terry shot was deflected onto his tape. Tyler Pietrzyk then went to work to extend Taunton’s lead, scoring a hat trick in the second period alone. Pietrzyk potted rebounds on shots from Zack Albert and David Perry and then finished a breakaway set up by a Mike Volkmann stretch pass. In addition to the goal, Geuss had two assists for King Philip while Connor, Lucente and Jeremy Smith each had one helper. Evan Remmes made 27 saves in net for the win. Pietrzyk added an assist to his hat trick for a four point night for Taunton, extending his Division 2 South points lead. Brother Trevor Pietrzyk, Terry, Albert, Perry and Volkmann had an assist each. King Philip (5-4, 3-1 Hockomock) will now look to build off its third period effort with a trip to Franklin on Sunday night at 6 p.m. Taunton, now 7-4 overall and 1-3 in the league, will face Attleboro on Saturday afternoon.